This book is exactly what the title implies, sound advice for the healing of souls in the confessional. Saint Leonard was one of the great confessors of all time. He was a Franciscan and a missionary preacher. Twenty Four - Proximate occasions of sins against the other virtues:Those arising from a penitent’s state of life, etc. Indulgenced prayer to be said before hearing confessions. Blessed [sic] Leonard of Port Maurice, in Italy, was a distinguished missionary in the last [i.e. nineteenth] century, who gained many souls to God by his preaching and his writings. His works were published in Rome in thirteen volumes in 1853, and duly approved. The treatise now published in English, and entitled Counsels to Confessors, has been always considered to be a most useful and valuable guide in the administration of the sacrament of penance. As I have been informed that the translation, which has been made by a skillful theologian, faithfully expresses the opinions and feelings of the holy author, I am happy to recommend it to those who have the direction of the consciences of others, hoping that they will derive light and instruction from the words of a most holy and zealous laborer in the vineyard of the Lord. You must take diligent care that those whom you select to hear confessions remember and exemplify what our predecessor Innocent III prescribes for the minister of penance, namely “that he be discreet and cautious. According to the manner of the wise physician, he should pour wine and oil on the wounds of the injured, and diligently inquire into the circumstances of the sinner and of the sin so as to learn what kind of advice he ought to give, and by making use of various tests, to discover what kind of remedy must be applied in order to heal the sick soul.” Let him keep in mind the warnings of the Roman Ritual: “Let the priest weigh diligently when and to whom absolution is to be given or denied or deferred, lest he absolve those who are incapable of receiving such a blessing: that is, those who show no signs of grief, those who do not wish to give up hatreds and enmities, to make restitution when they can, to avoid the proximate occasions of sin, or to use other means of abandoning their sins and amending their lives, and those who have given public scandal, unless they make public satisfaction and remove the scandal.” Anyone can see how far removed these precautions are from those priests who, hearing some serious crime or finding someone infected with many kinds of sin, at once say that they are not able to give absolution. To be sure, they refuse to attend the very ones whom they have been appointed to care for especially, by Christ who said, “Those who are well have no need of a physician, but those who are sick.” This is also far removed from those priests to whom the least diligence in making an examination of conscience or the slightest sign of grief and purpose of amendment seems sufficient that they think they are able to absolve. And finally, they think that they have taken a safe plan if they dismiss the people to another time for absolution. If ever the mean should be observed, then it is especially necessary in this matter, because excessive ease in granting absolution may encourage facility in sinning, and excessive rigor may alienate souls from confession and tempt them to despair over salvation. Indeed, many penitents present themselves to the ministers of the sacrament of penance entirely unprepared, but nevertheless in such a way that they can usually be made ready if the priest now, clothed in the mercy of Jesus Christ, who “did not come to call the just but to call sinners”, knows how to deal zealously, patiently, and gently with them. 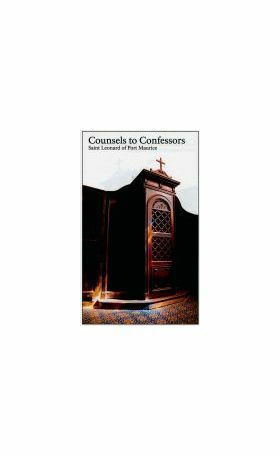 If he fails to do so, he himself should not be deemed ready to hear confessions any more than the others are to go to confession. 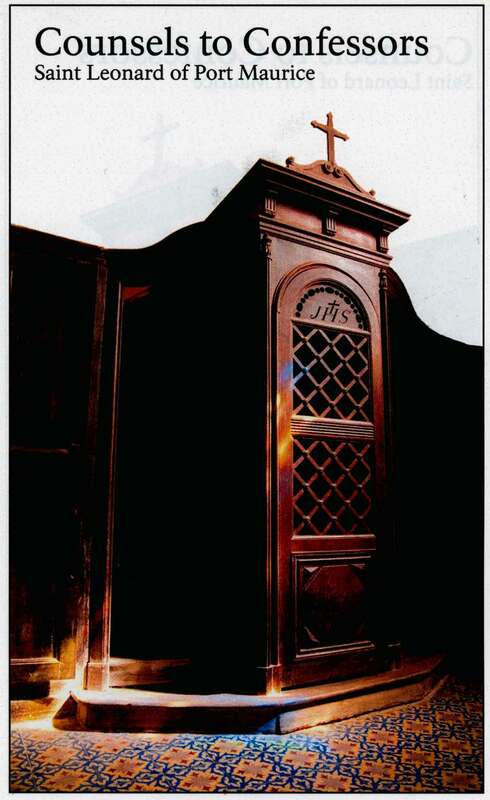 Indeed, those who have been guilty of grievous crimes or have been away from the confessional for many years are not for this reason only to be judged unworthy of confession, for “the mercy of the Lord is not limited, but is rather an infinite treasure.” Those who are uneducated or slow-witted and so have not examined themselves sufficiently—and will not know how to unless the priest himself assists them—are likewise eligible for confession. Unworthy, however, are those who—after he has shown due diligence in questioning them (but not so as to burden them excessively), and has endeavored to elicit in them a detestation of sin, while pouring out heart-felt prayers to God for them in all charity—nevertheless are prudently judged to lack the sorrow and contrition by which they may be disposed to receive the grace of God which is obtained in the Sacrament. But whatever the penitents’ disposition of soul when they come to the minister of penance, he must avoid at all costs sending anyone away, through his own fault, with a mistrust of God’s goodness or with hostility to the sacrament of reconciliation. If, for a just reason, absolution must be postponed, let him persuade the penitents as kindly as possible that it is necessary, that it is the confessor’s duty and obligation, and that their own salvation demands this. The priest should encourage them very tenderly to return as soon as possible, so that, having done faithfully the things which were prescribed for their salvation, they may break the bonds of sin and be refreshed by the sweetness of heavenly grace. “It is better for the priest to tell the penitent how great a penance ought to be assigned to him, and nevertheless to assign something that the penitent might do tolerably” (St. Thomas Aquinas). “For my part, I am able to list many great sinners who were saved only because a worthy penance, one on a par with the crime, was exacted” (St. John Chrysostom). “Teach me goodness and discipline and knowledge.”— Psalm 118:66. How beautiful is this prayer of the holy prophet! He asks of God not riches nor honors, not the prosperity of this world nor its joys; his only desire is, that he may be endowed with goodness, prudence, and knowledge — “Teach me goodness and discipline and knowledge.” His petition corresponds with that of the man mentioned in the Gospel, who solicited from his friend three loaves for the support of his family — “Friend, lend me three loaves” – Luke 11:5; the bread of goodness, prudence, and knowledge, so needful to such as are charged with the holy ministry, and which each confessor should daily ask of God, that he may worthily acquit himself of his duties. For, my dear sirs, the high and noble functions of a confessor are almost divine; they are all directed to wage war on hell, and conduct souls to heaven. Let it suffice to remind you how the apostle, intending to have you reverenced and cherished by the Church of God, has expressed himself in similar terms regarding the attributes of your ministry, making use of these remarkable words: “We are God’s coadjutors”– 1 Corinthians 3:9. In truth, it can be said of the confessor, that he is, to some extent, a coadjutor of God in the sanctification of souls, since he is directly instrumental in communicating grace to them. The confessor, then, engaged in a work that so much tends to the glory of God, has reason, at once, to felicitate himself on the sublime nature of his employment, and to tremble lest he should become guilty by his manner of fulfilling it. Devoid of the above-named three qualities, he exercises his ministry with irreverence, or is wanting in fidelity, or he suffers its fruit to be lost through negligence; or perhaps (horrible to think!) he may even come to profane its sanctity. “It is dangerous to give an account of that position,” was a customary expression of St. Augustine when speaking of the episcopal office (in Psalm, 126). This saying of the holy bishop fully applies to the office of a confessor: “It is dangerous to give an account of that position.” Oh! How many priests are now burning in hell, who would instead be enjoying the presence of God but for their having undertaken the duties of the tribunal of penance! We are here assembled in conference, my dear sirs, the chief object of which is to engage in a holy league that will secure amongst us uniformity in the manner of administering this divine sacrament, and to stimulate each other to zeal in discharging its sacred functions, which call for qualities almost divine. If it be not given us to attain the wished-for perfection, at least let us aim at the acquisition of the three virtues which the prophet prays for with so much instance ‑ “Teach me goodness and discipline and knowledge.” These three essential qualities shall form the matter of our conference. Herein will rest all the success of our holy mission. United by conformity of doctrine, each being fully provided with these three qualities, goodness, prudence, and knowledge, what an amount of good shall we not effect! How great the glory to God! How precious the advantage to ourselves! The first and most necessary quality to every one charged with the sacred ministry, and especially to every confessor, is that of goodness. A good life is indispensable to every ecclesiastic; there is no better means of persuasion than good example; men are more inclined to believe what they see than what they merely hear; virtue will appear to them more easily practiced when they have only to imitate those who rule and direct them. It is with good reason that Saint Gregory says: “For indeed, that voice which the life of the speaker commends penetrates deeper into the heart.” (Past. Curæ, part 2, chap. 3). This goodness does not consist merely in his living in the state of grace, but requires, moreover, that he should devote himself to the practice of the Christian virtues and works of piety, and that he should be inflamed with an ardent desire for the salvation of souls. When I meet with a confessor who, not content with leading a life free from serious crime, is all fervor, all zeal in devising means to draw souls to God, I find a real treasure; but, alas! how afflicting to witness the disorderly life of those who bring public dishonor on their sublime ministry, and, what is still more deplorable, are not deterred from hearing confessions in a state, sometimes of doubtful, often of even undoubted mortal sin. These unhappy ministers, according to the commonly received opinion, commit as many sacrileges as they give absolution; thus opening the gates of hell for themselves in the same proportion as they open the gates of heaven for their more fortunate penitents!